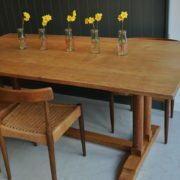 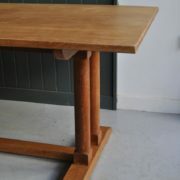 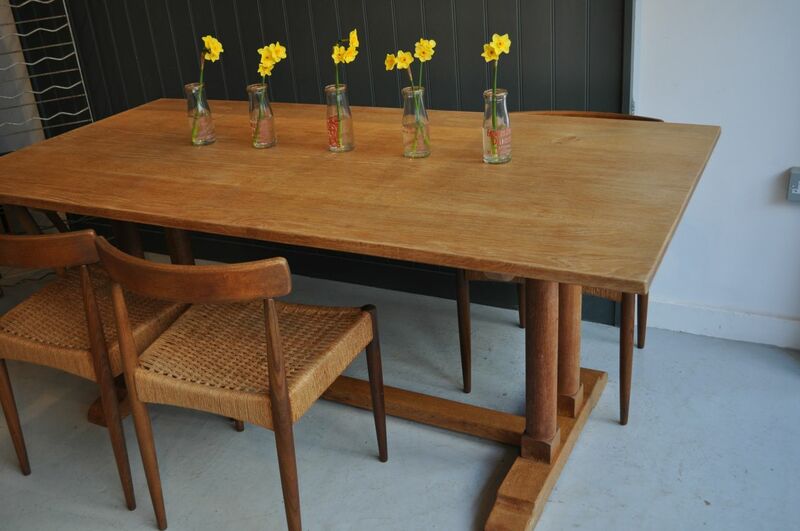 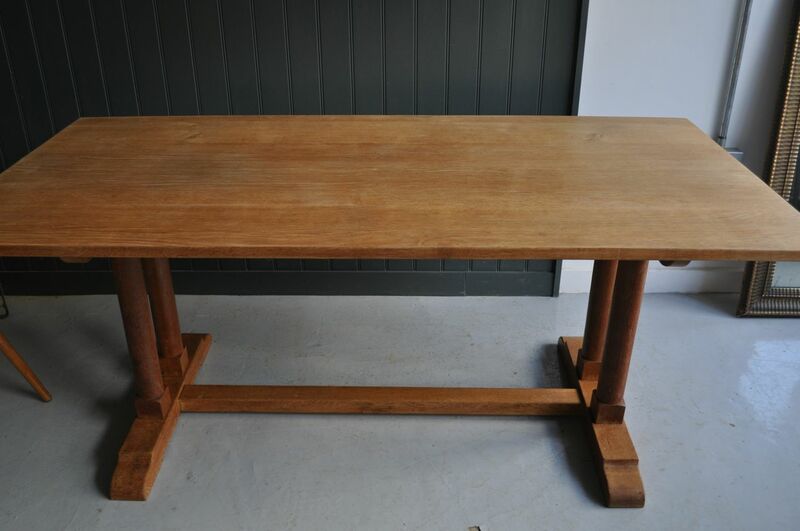 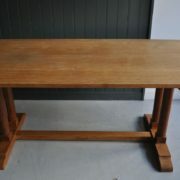 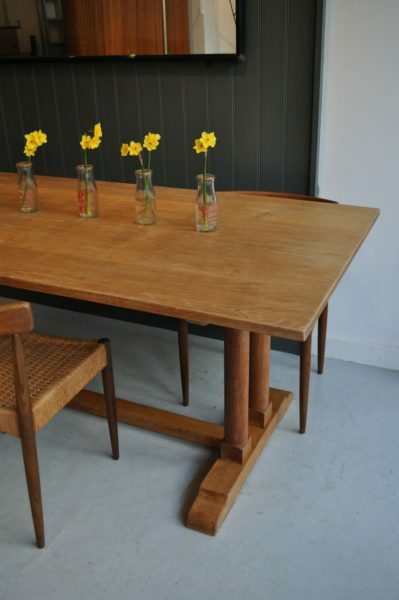 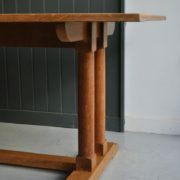 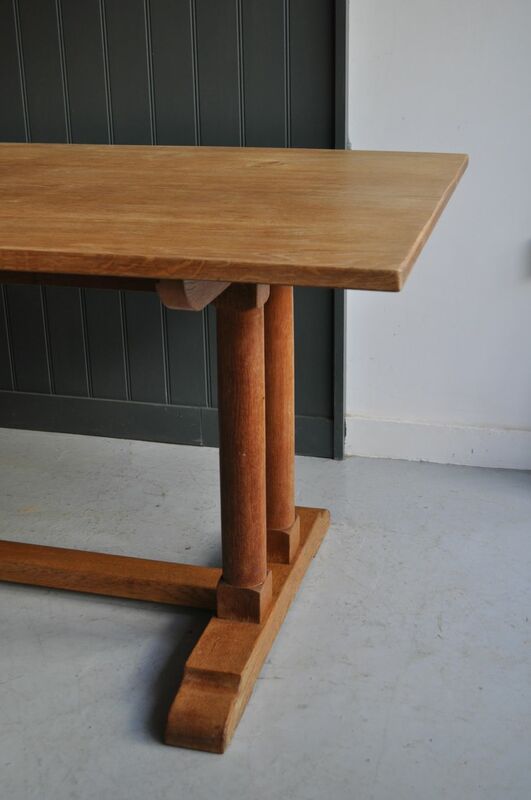 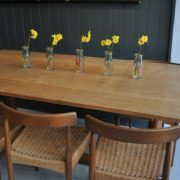 English oak table in the style associated with Heal's of London, although there is no label. Classic simple lines mean these work equally well with period benches and mid-century chairs alike. 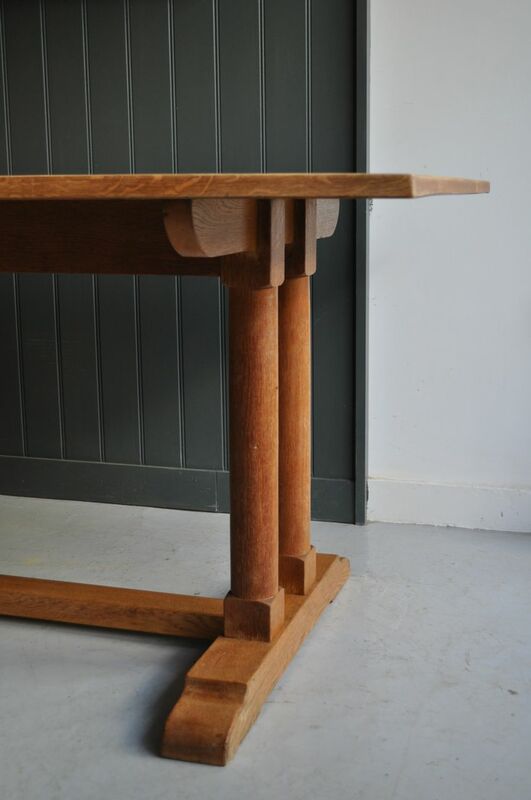 The legs are beeswax finished, and the top has been left bare to maintain a nice pale colour, although it can easily be oiled or waxed if required. 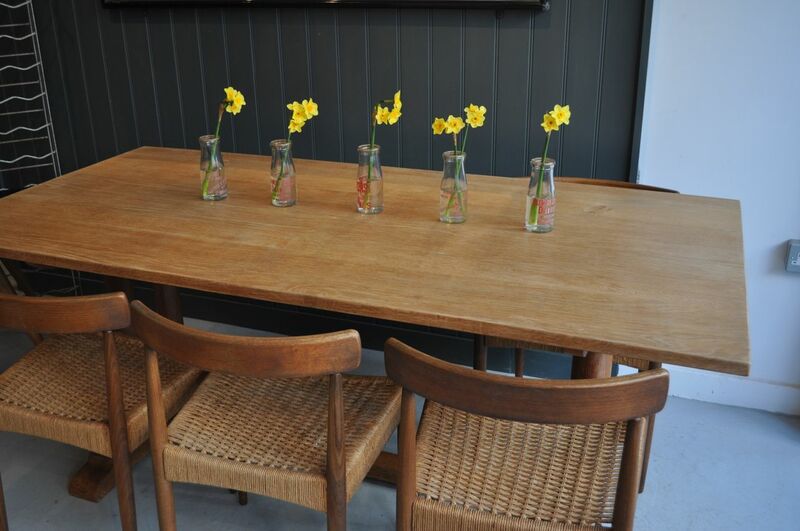 A comfortable eight seater, and wide enough for serving dishes in the centre.